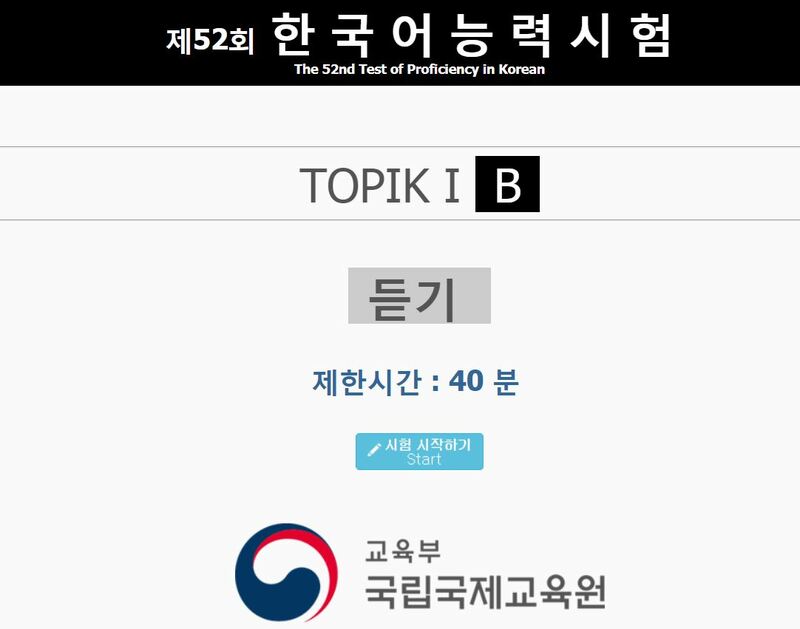 TOPIK (Test of Proficiency in Korean) is a language test designed to measure the ability of non-native speakers for expression and comprehension in the Korean language. It is held annually 5 times/year in Korea and 4 times/year in some foreign countries. Before taking the real TOPIK test, the best advice is to Practice Actual TOPIK Tests as many as possible. The official TOPIK organizer provides such a great website for free practice. However, it is not easy to find it out for most of the test takers. Follow the link below to go to the practice site & Make sure to bookmark the link for later use. There are a variety of the recent actual TOPIK tests that you can practice at the site. Each test has a time limitation that simulates conditions of the real TOPIK tests. Therefore, make sure you have enough time before practicing since there is "no breaking" or "pause button" when you are in the middle of a test. Your test score & performance will show up as soon as you finish and submit your test answers.